Built in 1865, this classic New Orleans double-parlor, Greek Revival townhouse has been carefully restored to offer visitors an authentic and comfortable hideaway in the heart of the city. The property has original hardwood floors throughout, the home's original staircase, intricate cypress molding, ten foot windows, and towering ceilings; all of the charming qualities that set New Orleans architecture apart. The home has also been updated with energy efficient improvements such as tankless water heaters, energy star rated appliances, fully insulated walls, and more. The townhouse has two bedrooms located on the second floor along with a large shared bathroom and laundry facilities. Each bedroom has a queen size bed and full walk-in closets. The master bedroom enjoys fantastic light from a pair of large guillotine windows that open on to a second floor balcony where guests may relax after a full day of sight seeing as the sun sets across the Crescent City. The first floor is designed for all of your entertaining needs with an open floor plan and a full guest bath. The living room features comfortable living furnishings including a sofa, chairs, and cable TV. A dining table seating six occupies the dining space. The kitchen, with composite quartz countertops and new stainless appliances, opens to the living/dining space with a large bar. The stove is a five burner gas stove, satisfying the cook in the family. Those guests traveling with transportation will enjoy the home's close proximity to many transit options and sights within walking distance, including the St Charles Streetcar, Lower Garden District, WWII Museum, and Superdome. The property is located steps from the attractions of downtown New Orleans including the Super Dome, Civic Theatre, Southern Food and Beverage Museum and much more. Great Get Away For Everyone!! We loved our trip to New Orleans!! We were in a great location and stayed in an awesome house!! Marty was very helpful in giving us recommendations! We will totally come back and would stay here again! This is a nicely remodeled two story house. Good location. Nice kitchen appliances. The front door lock is very tricky as the key sticks but other than that a great stay. Nice and cozy with a lot of room. Short walking distance to St Charles St. The house was very convenient for us. It was comfortable and provided what we needed. Not too close & not too far! While we wanted to experience all New Orleans had to offer, we didn't want to be in the middle of the tourist zone. 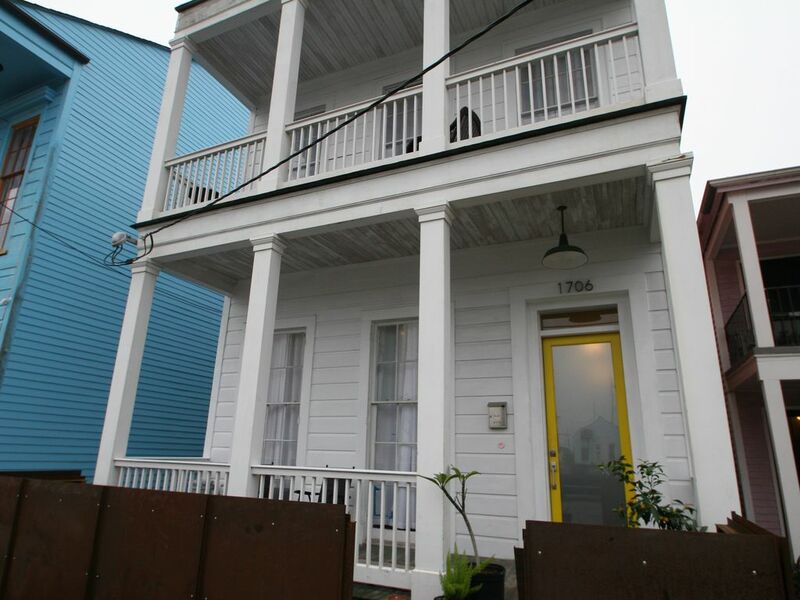 This adorable house is far enough off the beaten path to be quiet & relaxing but close enough to the trolley to be able to get to the French Quarter relatively quickly. This will be the first place I consider staying for any future trips to the city. The home is located in the heart of New Orleans. Most of the city's attractions are at your finger tips from this centrally placed property. We are situated an easy 1.1 miles from the Mercedes Benz Super Dome; making the location perfect if your visiting the city for sporting or musical events taking place at the dome. You'll also enjoy the location's proximity to the French Quarter, the Garden District, The New Orleans Convention Center, the St Charles Street Car and the attractions of Oretha Castle Haley Blvd. Whether you're in town for fun or business, this location places you right where you need to be.